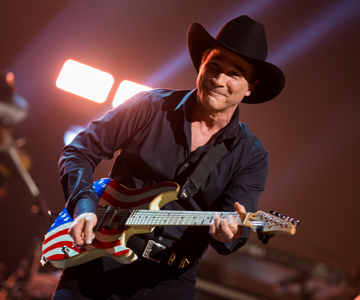 Clint Black is back. The multi-million selling country mega-star is releasing On Purpose, his first full-length album of new songs in a decade and he’s doing it on his own terms. Black’s On Purpose compiles a strikingly diverse group of his self-produced songs. His ballads “Only One Way to Live,” “Stay Gone,” “Breathing Air” and “The Last Day” have never cut deeper, while his spirited “Beer” and “Better and Worse” are among the most upbeat songs he has ever crafted. “Time For That,” “Doing It Now For Love” and “Summertime Song” are catchy examples of how groove-soaked his music can be.